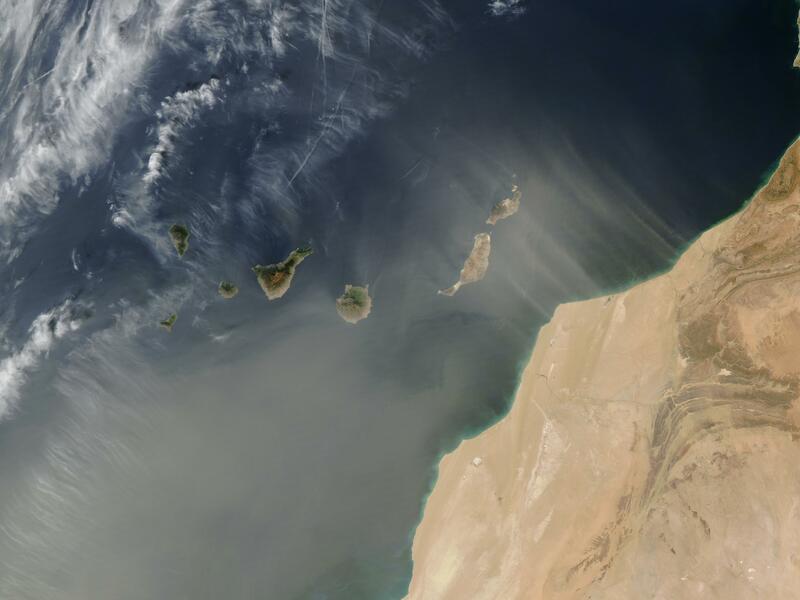 A widespread plume of Saharan Desert dust (tan pixels) blew off the northwest coast of Africa and directly over the Canary Islands on February 3, 2004. A day later, the dust storm continued, as shown in this true-color image acquired by the Moderate Resolution Imaging Spectroradiometer (MODIS), flying aboard NASA’s Aqua satellite. This image is available in additional resolutions.